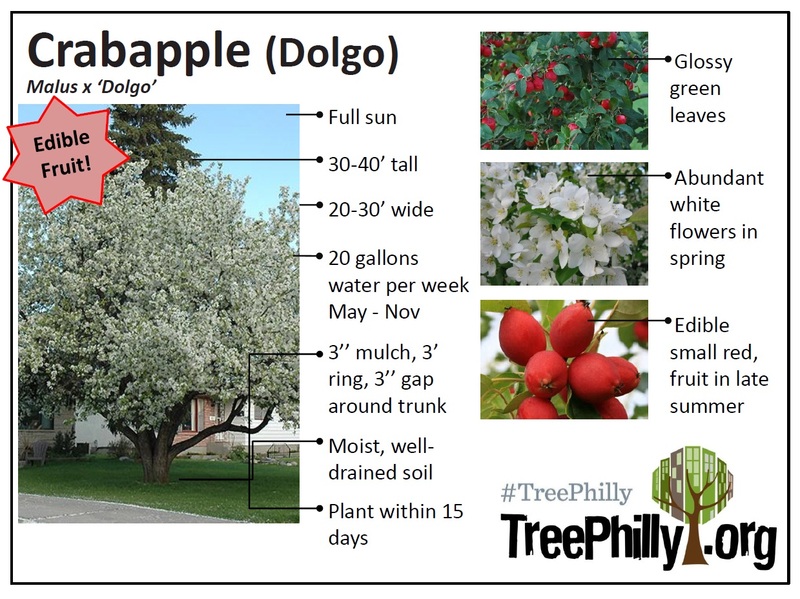 Learn about our Spring 2014 yard trees!Treephilly Learn about our Spring 2014 yard trees! Learn about our Spring 2014 yard trees! There are ten days left to pre-register for the Spring 2014 TreePhilly Yard Tree Program! And now you can take a look at the facts sheets for all 11 of our Spring 2014 yard trees and start deciding which tree or trees are best for your yard! But don’t worry because we will have experts available at each event to help you choose the right tree for the right place. You can also check out this webpage from the International Society of Arboriculture for more information about choosing the right tree for you. Dolgo crabapple is one of the small flowering trees that will be available at the Spring 2014 yard tree giveaways.